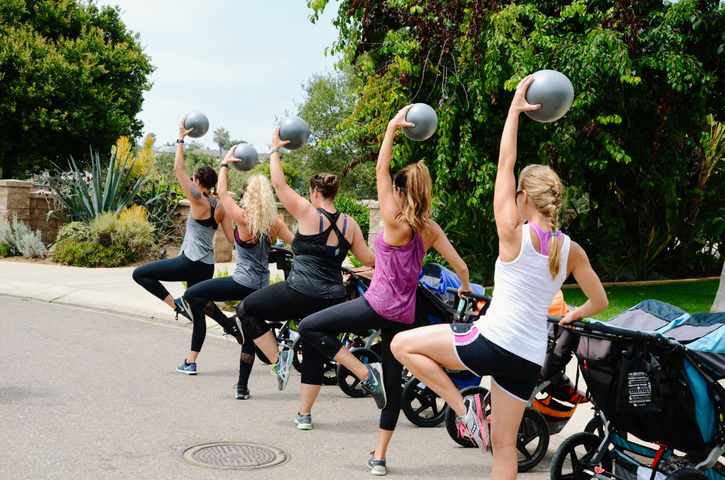 Stroller Barre® is a 60-minute cardio and strength interval class designed to improve posture, stability, and mobility. 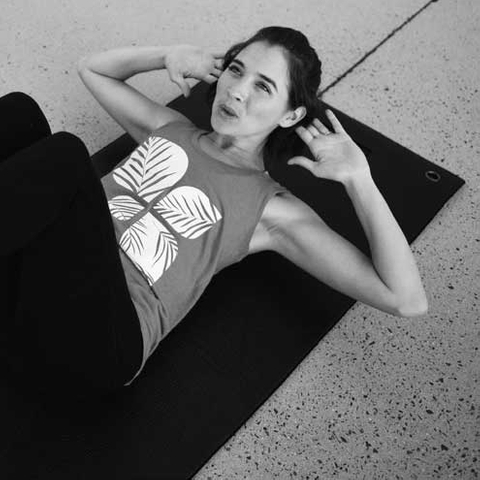 The workout combines moves inspired by barre, ballet, Pilates, ﬁtness, and yoga to help you regain your posture and alignment and strengthen your body from the inside out! 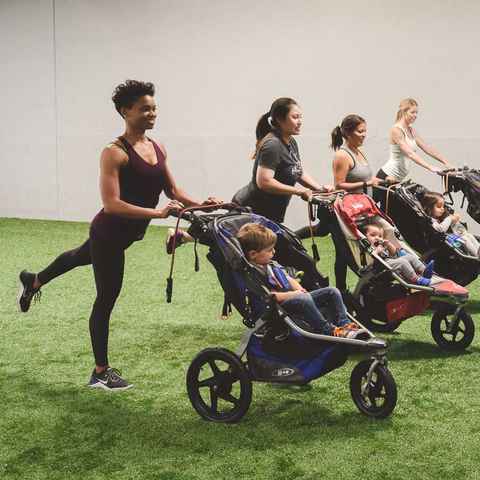 Stroller Barre will help you reconnect with your body, increase flexibility and develop the core strength needed for motherhood. Body Back® Transformation is an 8-week result based journey. You will focus on your mind and body improving your overall health and well being. The experience includes high-intensity interval training (HIIT) workouts designed to challenge, empower, and recharge you. Nutrition guidance, recipes and meal planners are provided to educate and guide you toward healthy eating habits. Additionally, pre and post fitness assessments are completed allowing you to see your progress and celebrate your accomplishments. The program also includes online workouts, accountability, and a supportive community that is with you every step of the way. This eight-week journey will reconnect you to your inner strength and encourage you to believe in personal transformation. 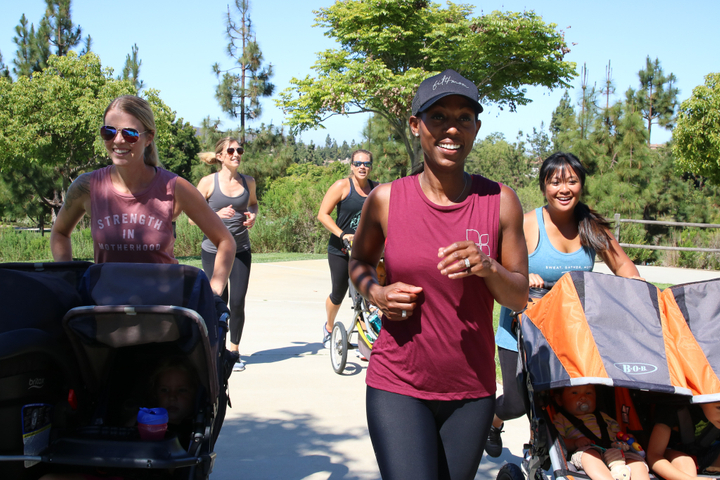 Our Run Club community meet ups welcome moms of all stages, as well as friends, family members and kids of all ages! 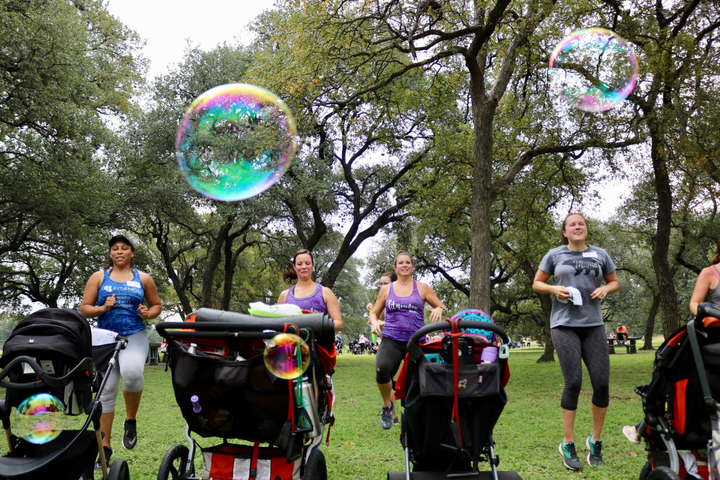 Run Club is a great way to get outdoors, improve your health and fitness, and connect with other families. 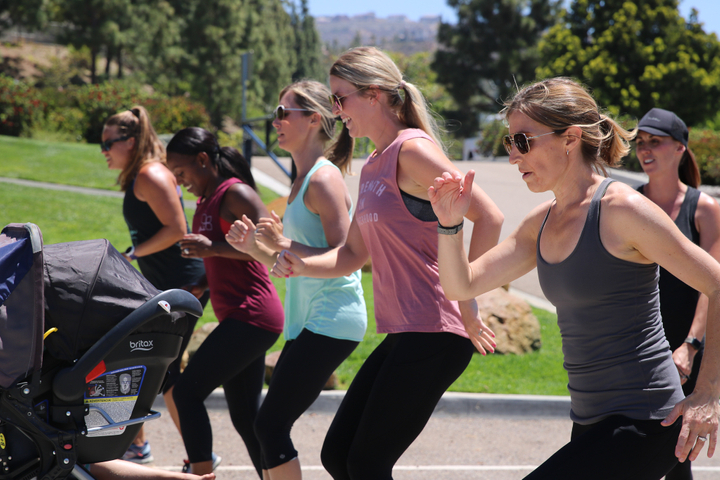 Our FIT4MOM Run Club ‘Coach’ will lead you in a family friendly warm-up, then lead a self-paced run of varying distances to meet your skill level. There is no cost to attend. Take your run training to the next step with our 8-week guided training program. Whether you’re training for a specific running goal such as a 5K, 10K, or a half marathon, or simply want the support and structure of a run training program, we provide at-home and in-person opportunities to train, learn, and improve. Included in the 8 weeks are tips for getting started, detailed training plans for a variety of distances or general running (running and cross-training), as well as nutrition tips for fueling during training. 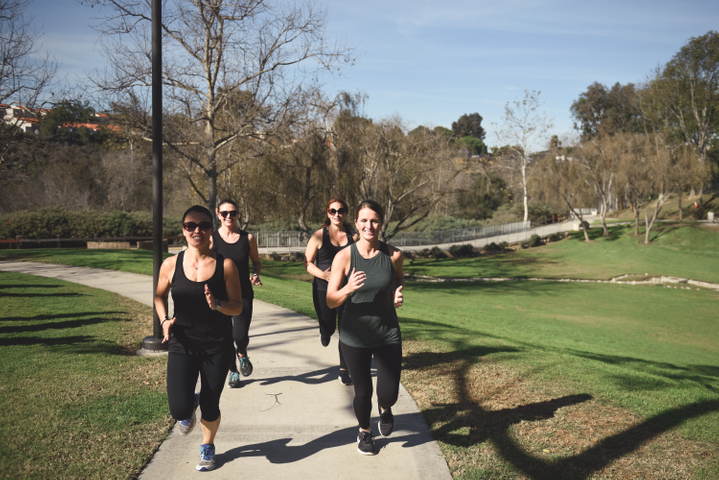 Each week, you’ll receive email support, accountability and progress check-ins from your Run Club+ Coach. Our Village supports all moms, in all stages of motherhood. Each month activities are scheduled in your local area. Moms Night Out, playgroups, book clubs, family events, charitable events, and more are offered depending on your interests! Celebrate, find support with challenges, and be involved in your community with us. 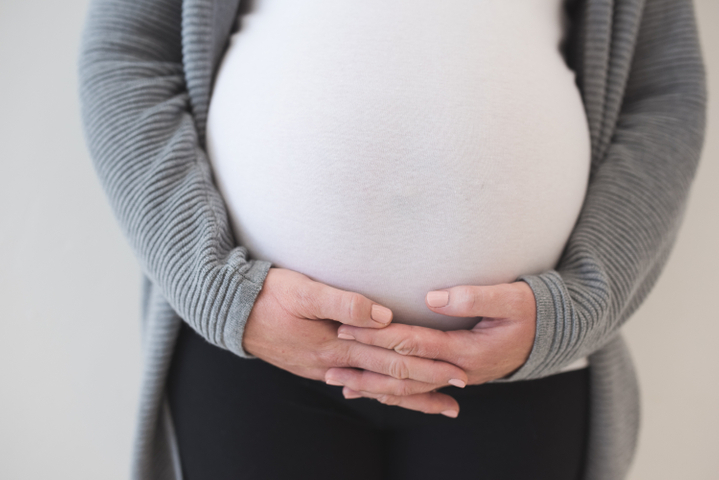 Together we can help each other find our common strength for motherhood! Connect with your local group through our Location Finder, where you can find more information for your area.